2016 saw the launch of the Lab Glassware Range, which we assisted Peter Saville in the development of for the Museum of Science & Industry. 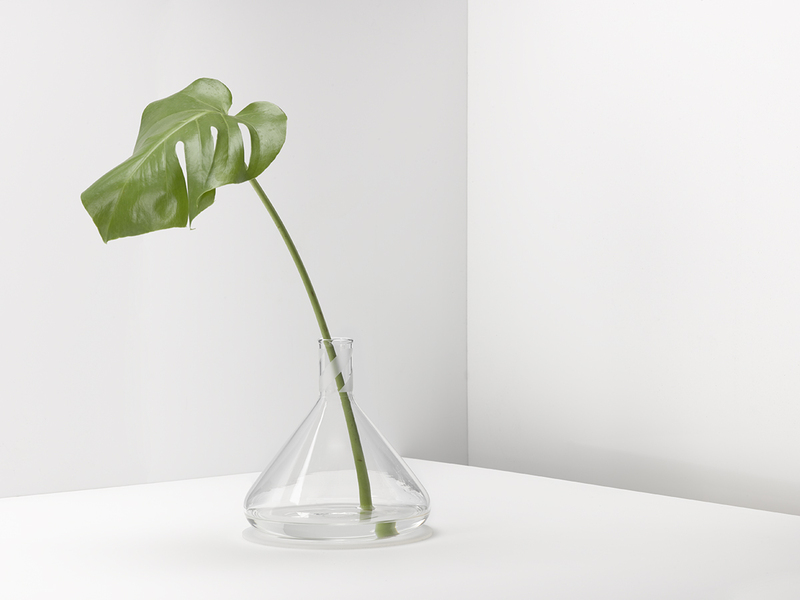 “Designer and cultural figure Peter Saville and the Museum of Science & Industry (MSI), Manchester, are proud to launch a range of three glass laboratory-style flasks as part of their ongoing design collaboration. 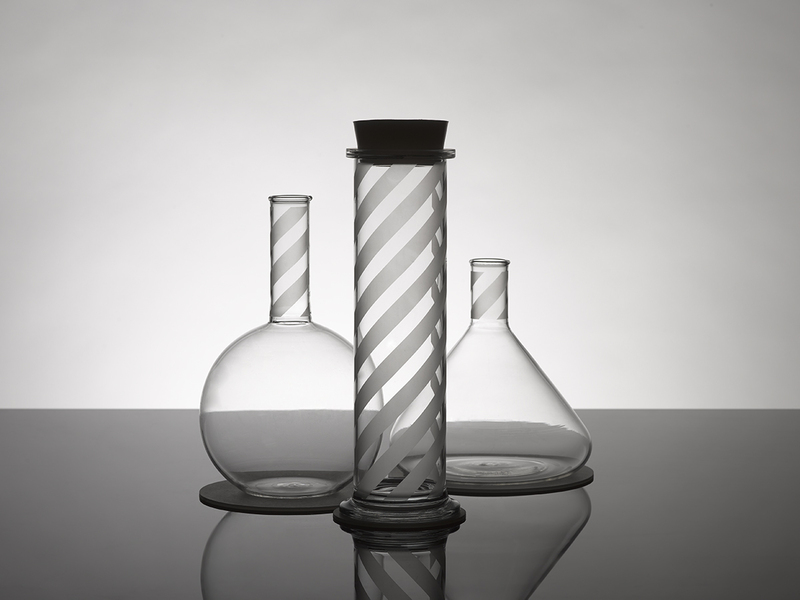 The especially commissioned flasks are etched with diagonal stripes, originally inspired by industrial hazard lines and now part of Manchester’s visual heritage as an industrial city and home to iconic club the Haçienda. Saville’s relationship with the museum began in 2013, when Jean Franczyk, the director at the time, tasked him with improving the vista of MSI’s historic public realm space while simultaneously keeping the site secure. In partnership with Walker Simpson Architects, Saville conceived of a design solution consisting of gates in sheet glass, etched with diagonal hazard sign stripes. The stripes were set in hot rolled steel sections on a graded apron of salvaged granite setts to impactful effect, and remain in place today. With his use of the hazard sign Saville summons up Manchester’s history as well as its postmodern identity. Its three diagonal stripes feature in Manchester’s coat of arms, representing it’s three rivers, the Irwell, the Medlock and the Irk. This three-lined image also echoed across the worksites of Manchester at its industrial height, before more recently – and perhaps most famously – being appropriated by designer Ben Kelly as a key feature of Factory club the Haçienda’s instantly recognisable dance floor. 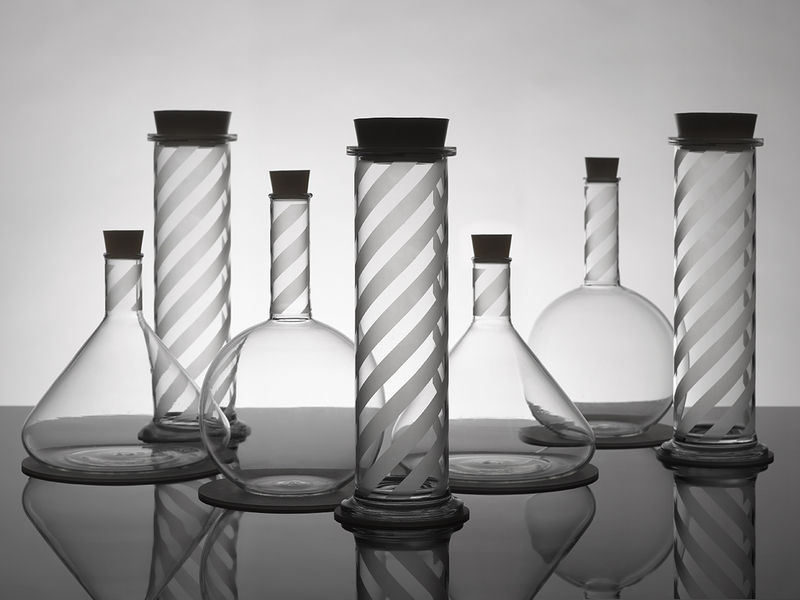 For this new MSI design commission, Saville proposed a selection of lab-inspired glassware for domestic spaces, extending the themes of industry and glass that he explored in the entrance gates beyond the public realm and into people’s homes. 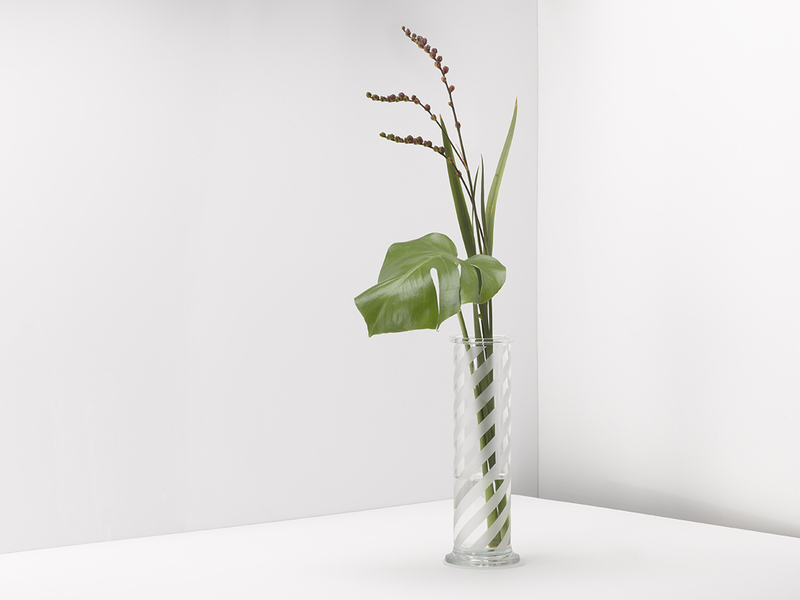 Three Saville vase designs are ornamented with the iconic diagonal warning stripe. Produced and etched in the North of England, each flask comes complete with a natural silicone base-mat and stopper, and are perfectly suited to a variety of uses. Peter Saville is an artist and designer whose contribution to culture has been unique. As a founder and art director of the legendary independent UK label Factory Records he accessed a mass audience through pop music, best exemplified in the series of record sleeves he created for Joy Division and New Order between 1979 and 1993. His radical designs seemed to break all the rules, omitting information about artists or titles, fundamentally questioning modes of consumption and communication. 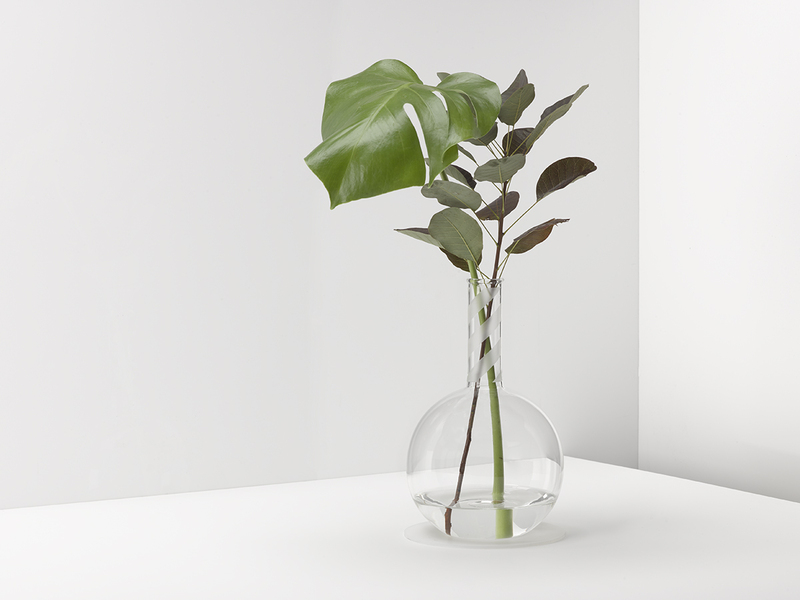 His recent work encompasses design, art and culture. He is consultant creative director to the City of Manchester.